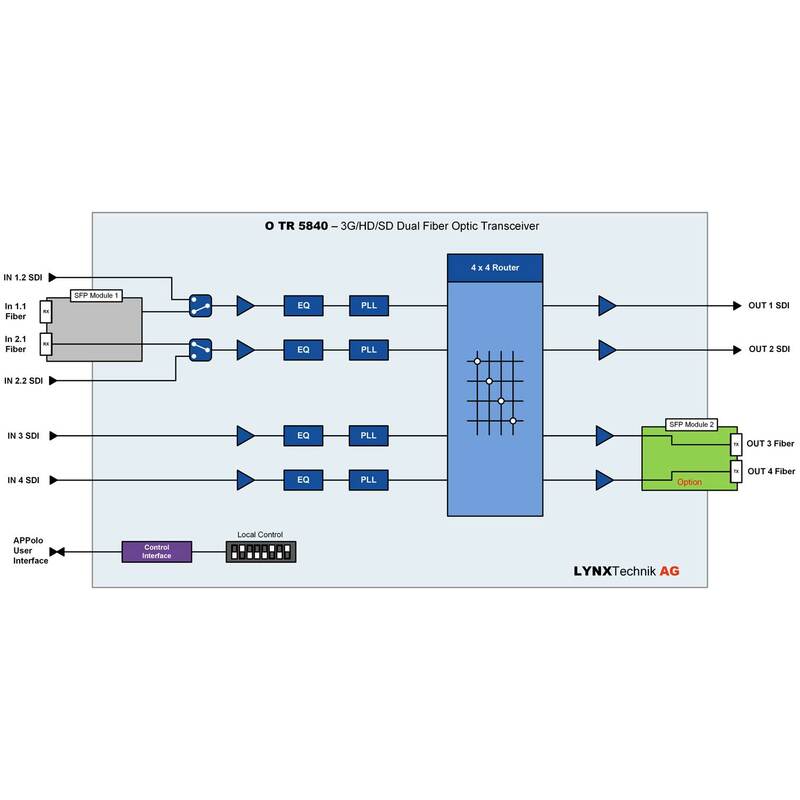 The OTR 5840 is a flexible dual channel SDI electrical to optical transceiver suitable for SDI/ASI-DVB video signals up to 3Gbit/s. Each channel has automatic input clock rate and signal presence detection with selectable signal reclocking. This module is ideally suited for demanding digital multi-format broadcast and professional applications. Two input channels can be switched between optical or electrical inputs. In non-reclocked mode the module will transparently pass any data between 15Mbit/s and 3Gbit/s. Support for ASI/DVB and SMPTE 310 signals is also provided. Select from 18 transmitter wavelengths for CWDM applications, or select dual 1310nm transmitter wavelengths for non CWDM applications. 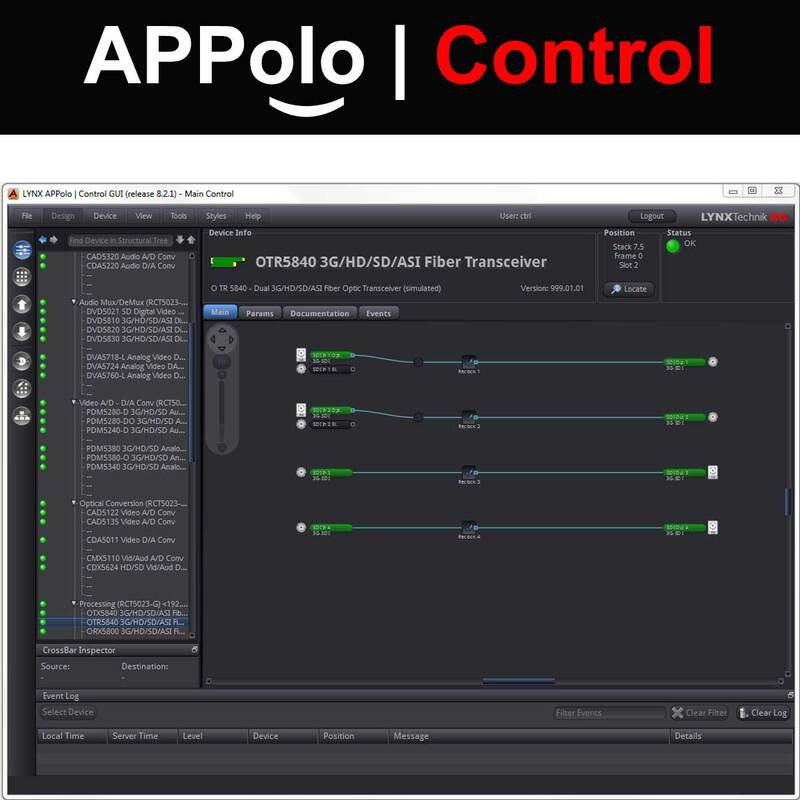 An integral 4×4 signal router can be utilized to change 1/O channel mapping when using the APPolo control system. Up to 10 modules (or 20 fiber RX and 20 TX channels) can be supported in a standard LYNX 2RU rack frame. 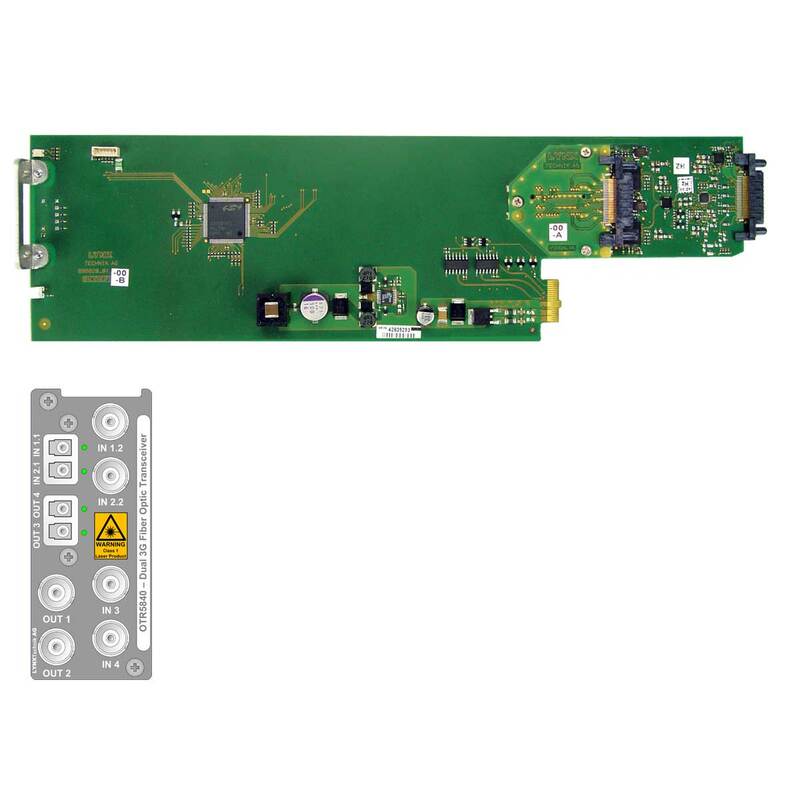 The Fiber SFP sub-modules are secured on the backplane allowing for module removal and hot swapping without removing any modules rear I/O fiber connections.